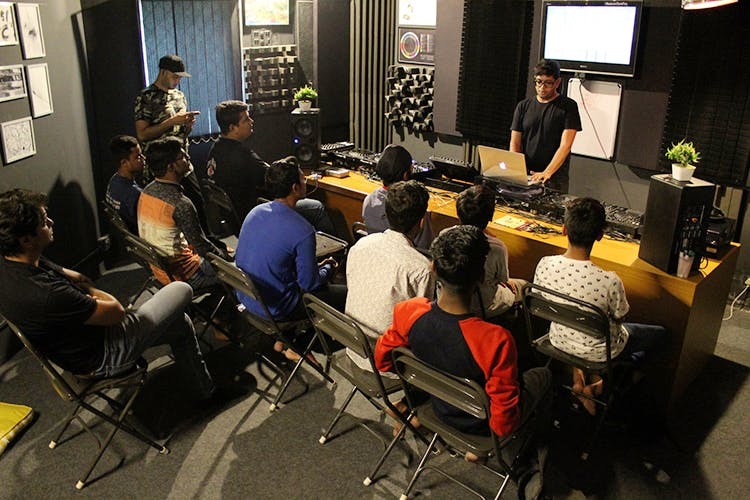 Beatworx studio in JP Nagar is all about that electronic music and everything related. Go here to learn the ropes of music production and DJing. The art of being a musician isn’t restricted just to knowing how to play an instrument or singing in your best voice. Remember the time, we all thought being a DJ required no real talent, turns out apparently not. The peeps at Beatworx will show you and teach you about everything you need to know to be a successful DJ. Well, there’s nothing to lose, you can acquire a new skill and try your hand at DJing and even make a real career out of it. They have a state of the art studio equipped with the latest gear and equipment. Watch out Calvin Harris, Ivan and Diplo, here we come. They have a one-month long programme which will cover the basics of DJing and music production. You can also choose their long term courses (Trimester, Semester and annual), which will be advanced versions of the programme. They also offer unlimited practice hours at their studio if you’ve signed up for one of their courses. The fee for the courses start from INR 25,000 onwards. It might seem expensive, but we believe it never hurts to invest in a new skill. Apart from teaching, they are also into selling of the latest gear and equipment and installation for those into music production.